Last week Frank Mattarella received an interesting phone call. 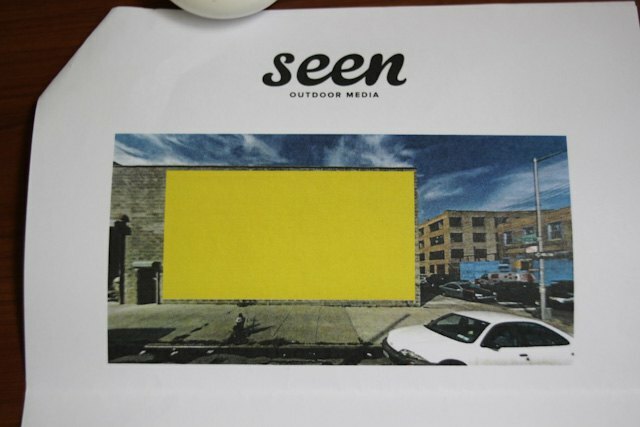 Jason Medrano from Seen Outdoor Media was offering him $24,000 per year to rent a single wall on his building at 14 Wyckoff Avenue. Frank Mattarella was born in Bushwick- his family has owned the building on Wyckoff and Troutman for decades and they've rented it as a metal fabrication shop. His neighbors are North East Kingdom on one side and an industrial warehouse on the other. 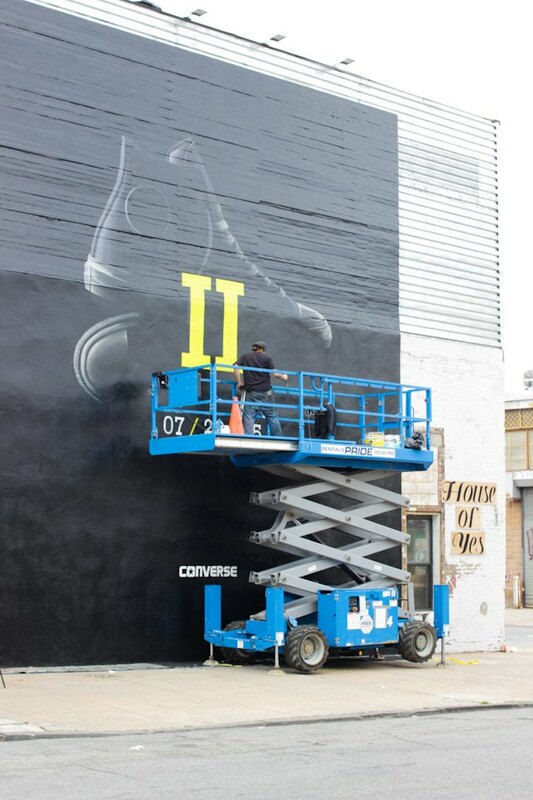 The recently painted warehouse is already sporting two billboards- a larger one with a Sprite ad, and a smaller one with an Atlantic ad. 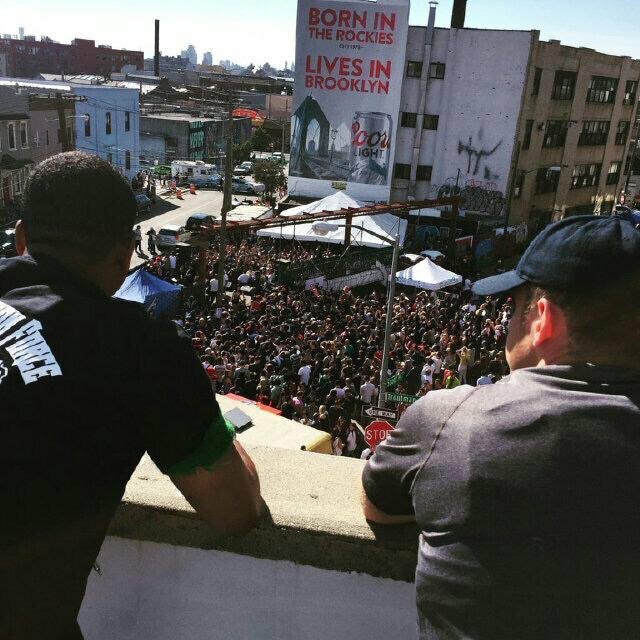 “But you know that The Bushwick Collective has some art on that wall,” Frank recalls telling Seen Media. “Yes, but they don’t pay. We do,” they simply replied. 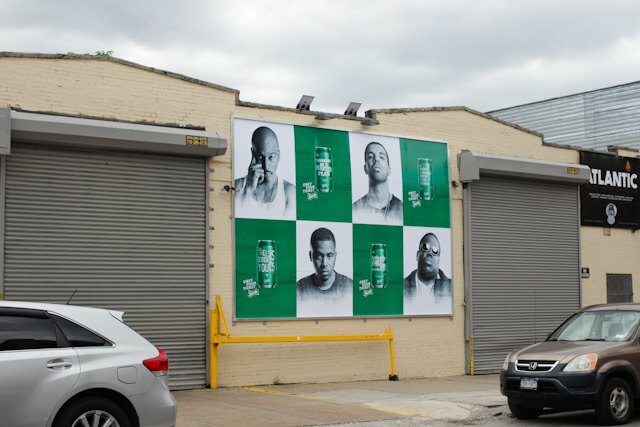 The warehouse next door is already sporting a Sprite ad. Later that day, Bushwick born Joe Ficalora, founder and curator of The Bushwick Collective, was pointing at Frank Mattarella’s building. The Wyckoff Ave side of the building has been covered with a striking mural with political undertones titled “The Hand of Protest” by Chilean artist Dasic Fernández. 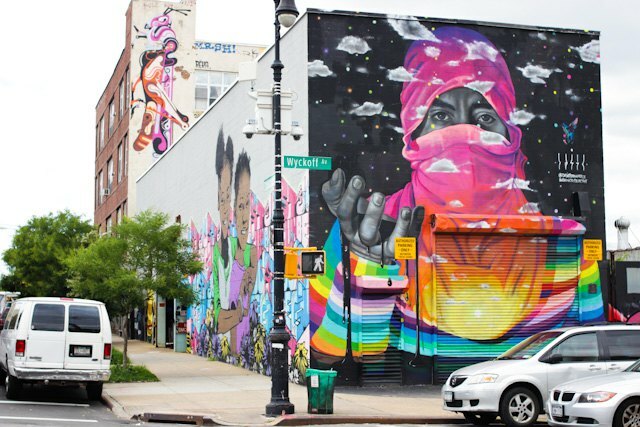 The Troutman side of the building currently belongs to an artistic collaboration between Chris Stain and Billy Mode whose mural permeates with a compelling message to Bushwick’s youth: "The future is yours to invent." “I made this part of the neighborhood desirable and now they are cashing in on it while doing nothing for the community,” Joe told me with a mixture of anger and sadness in his voice. “But what can I do about it?” he asked himself rhetorically. 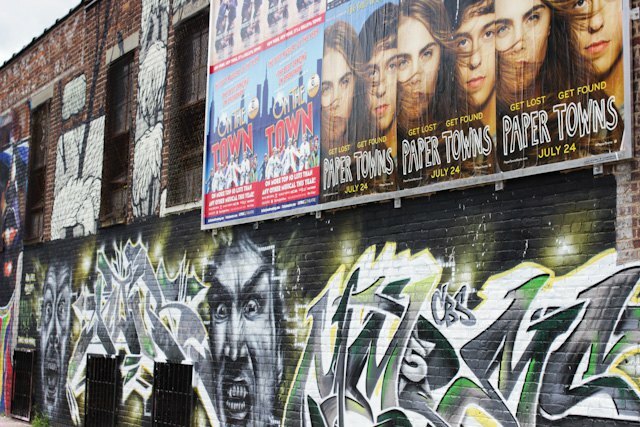 Joe started The Bushwick Collective in 2012. His mom just passed away of a brain tumor and he couldn’t stand looking at the empty walls haunted by the memories anymore. Without any background in art, he googled “street art” and invited the first artists to paint the walls belonging to his abiding neighbors. “We never quite confirmed with Joe,” said Anya Sapozhnikova, one of the founding owners of House of Yes. 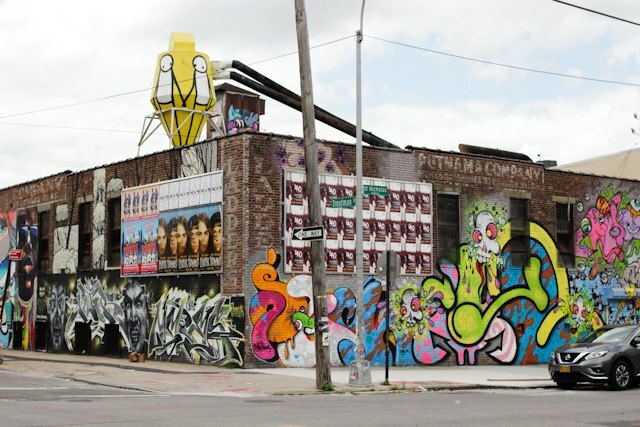 The 308 Jefferson St space will be the third reincarnation of the DIY artist collective and a performance venue after they were priced out of their location in East Williamsburg. In summer of 2014, House of Yes raised almost $100,000 on Kickstarter to open a legit venue with a bar and a restaurant on top of their aerial circus. House of Yes has been performing extensive construction works including building a floor on top of the existing building. "The money is really tight. If government funded arts we wouldn't be having this conversation." “I called up these giant billboard companies, but they had no idea what the neighborhood was or who we were. And then I talked to a hand-painted murals company called Colossal. The people who work there are real artists. We were very comfortable with how they were running their business and the kind of people they were. Moreover, they gave us a lot shorter contract,” Anya explained her decision to rent out their giant wall facing Wyckoff Ave. She didn’t want to disclose how long their contract is or how much they’re getting paid for it. “If we had governmental funding for the arts we wouldn’t be having this conversation,” Anya concluded.